Ruark annuity industry studies: what's available now, and what's on the way? With policyholder behavior risks back in the headlines recently, we wanted to share with you 3 big things that we have available for you. Our studies cover surrender, partial withdrawal, and GMIB annuitization experience through 2016 Q2. We provide detailed analysis of key behavioral drivers such as surrender charge period and duration, types of guarantees (GLWB, GMIB, etc.) and moneyness measures, contract size, age, tax status, distribution channel, and more, along with anonymous benchmarking across companies. We quantify dynamic lapse sensitivity, floor surrender rates for deep-in-the-money contracts, cohorts and efficiency measures for partial withdrawal utilizations, and GMIB annuitization rates; all critical assumptions impacting the balance sheet and long-term profitability. The study reports and detailed numerical exhibits will be accompanied by our "3D" tool, to allow for your own exploratory analysis of the data. We completed this study recently, and to our knowledge it is the first of its kind for the FIA industry. The results are quite interesting. As we have seen with VA mortality for many years, FIA mortality does not follow the shape of standard annuity tables, has significantly lower mortality for contracts with GLWB, and varies by contract size and between qualified and non-qualified contracts; all important considerations, particularly in light of the pending fiduciary rule implementation. 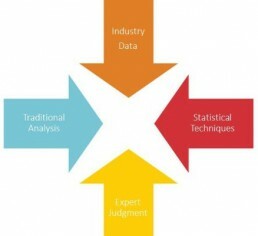 Throughout the last few years, we have also made a significant investment in predictive modeling capabilities, as part of a larger effort to provide you with more comprehensive behavioral analytics services that build on the industry experience studies as you have come to know and love them. In short, we want to help you translate the complex experience data to assumptions as efficiently as possible. We have done this by developing a process to calibrate baseline behavioral models to the industry data, and then customize those models to each company's characteristics. We shared this process with our new Behavioral Analytics Advisory Council in the spring, and we have already completed two client projects along these lines with excellent results in terms of goodness-of-fit and predictive power. We expect continued growth in this vital and innovative area. Our 2017 plans for these comprehensive behavioral analytics services, including industry experience studies and benchmarking, and customized assumption models calibrated to this data are coming soon. Please feel free to contact any of the Ruark team with any questions. We look forward to supporting the continued success of you and your company in this important work.